The Modball Rally Europe 2015 route will be a rally from London to Barcelona stopping in Paris, Milan, Rome, Monaco. To enter the rally you need to pay a £495 deposit to book guarantee your team place with your final balance due within one week of deposit. The 2015 rally is limited to 180 cars and will be £1495 per person (including taxes) for the standard package, £3595 per person (including taxes) for the luxury hotel package, minimum two people per car. The rally is strictly first come first serve and the number of your car will relate to the time of your booking, the first to book will be number 1 on the grid and so on all the way to 180. There isn't many spots left, so hurry up if you are interested. Any car is accepted with at least two modifications, cosmetic or mechanical. The organiser have had sports cars, movie cars, a fire engine, tour buses, monster trucks, supercars, run-a-rounds, almost everything. The Modball Rally encourage drivers to be as creative as possible with their car, since after all, it's all about having fun! 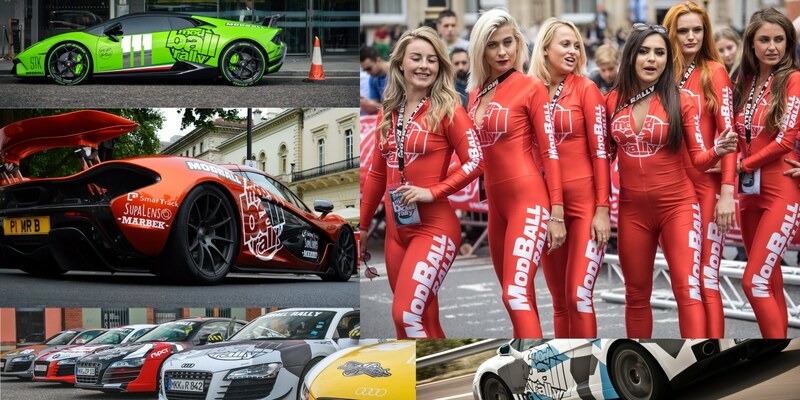 It all kicks off in London, UK on the Friday the 19th of June 2015 with the traditional launch party and then the cars take off the day after, 20th June. The first stop is Paris, France for a nice chic evening seeing sights and partying. The day after, Sunday 21st June it's all about crossing the alps and heading to the fashion captial of the world, Milan, Italy, for yet another splendid evening of fun and partying. On Monday the 22nd of June the teams are all heading to Rome, Italy for even more parties and glamour, Modball style. Tuesday the 23rd the teams are heading from Rome to Monaco to play with the rich and famous on this golden piece of the French Riviera. From Monaco it's off into Spain and Barcelona on the 24th of June for the final splash of sunshine, champagne and hot cars roaring down the streets. On the 25th of June it's all over.